Look at all the ways you can get an Exotic Engram in Destiny 2. Exotic engrams are the pièce de résistance of engrams in Destiny 2, offering players the most powerful weapons at the highest possible Power level. Players looking to fast track their leveling, or even just unlock some missing weapons and armor, will want to know how to get Exotic engrams, and maybe even how to farm for them. The best way to earn Exotic engrams in Destiny 2 is to participate in high level activities. With the release of the Forsaken DLC, there are now several of these activities that players can complete on a weekly and daily basis. Before being able to access said activities, players will first need to complete the Destiny 2: Forsaken campaign. Prime Engrams are another way to gain Power, and potentially a new Exotic. If players are able to, they should absolutely attempt the Prestige version of the raids, as they are an excellent source of gear and it’s the only way to get the Sleeper Simulant catalyst. 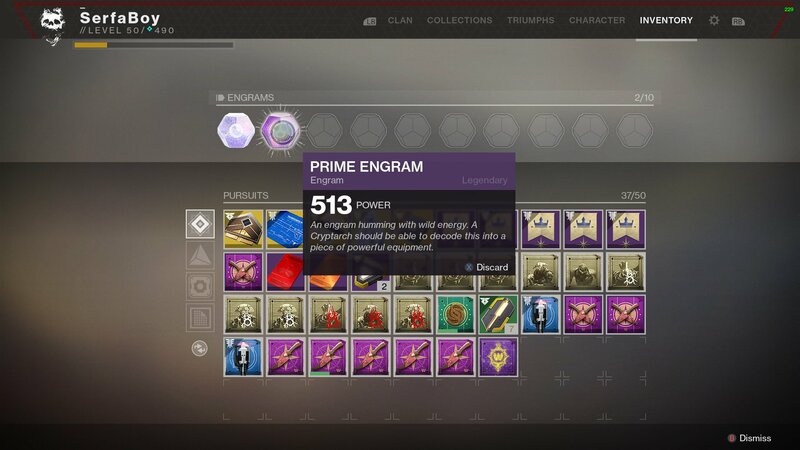 As of the release of Destiny 2: Forsaken, Xur no longer sells a Fated Engram for players to purchase, though this could be reverted in a future patch. For now, players should visit Xur each weekend and pick up any Exotic items they might be missing. Those are the most common ways currently available for you to get and farm Exotic Engrams in Destiny 2, with completing Heroic Public Events being our favorite. For more information on everything you need to have a great journey through Destiny 2, visit our Destiny 2 complete strategy guide.